With its lush beaches and magnificent hotels, it’s no wonder Ibiza is a preferred holiday spot for the top 1%. 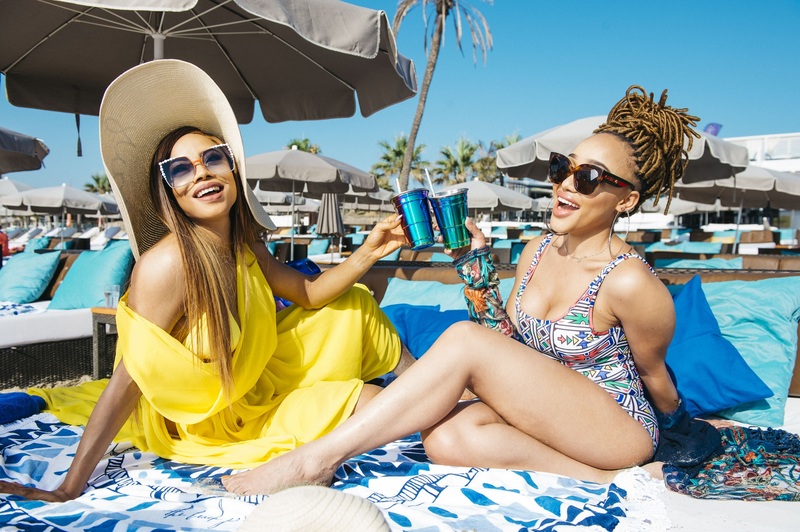 Cîroc ambassador, Toke Makinwa, last week joined South African Cîroc ambassadors Cassper Nyovest and Thando Thabethe for a 3 – day holiday of pure luxury in Ibiza. 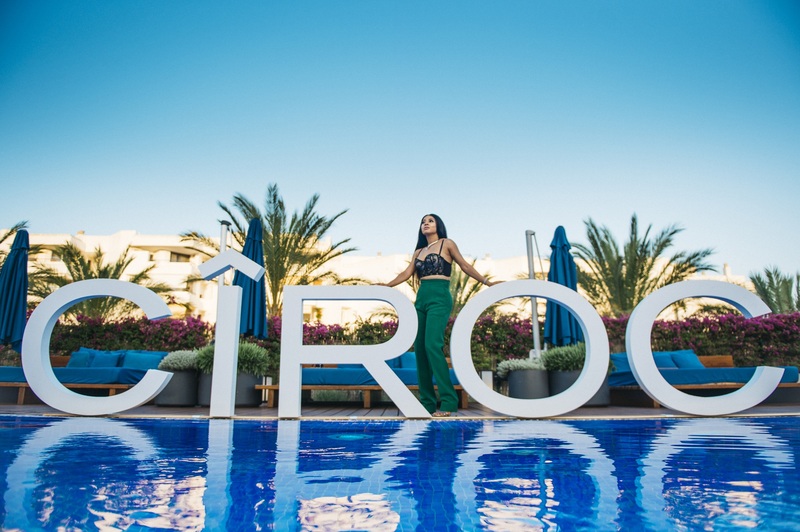 A chauffeur-driven Mercedes G65 AMG SUV awaited her at Aeropuerto de Ibiza International Airport and whisked her off to Ibiza Gran Hotel, the only 5-star hotel on the island. 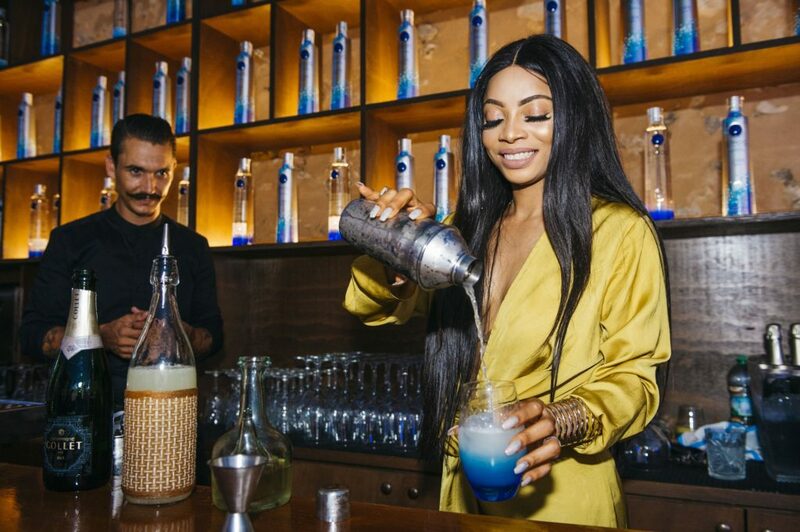 After a quick shower and change of clothes, Kyupiddo was to hear of a certain Nigerian called Toke Makinwa as she displayed mixologist precision in making her signature cocktail, the Cîroc Mule. 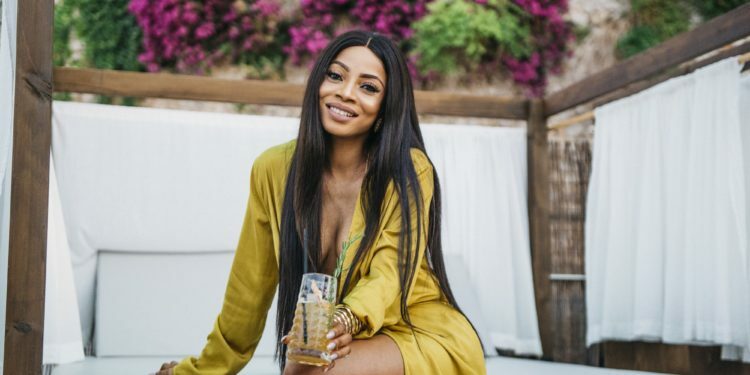 Later that night, the highly sought after STK Steakhouse played host to Toke, Thando and Cassper with an incredible display of gastronomic deliciousness and great entertainment. The morning of day two dawned clear and crisp with a quick photo shoot at the Nassau Beach Club. Toke turned heads with a mustard yellow ensemble from Tubo, Fendi SS17 sunglasses and a straw hat while enjoying lobster and sushi on the beach. She dropped the yellow outfit for a kente-inspired bikini with her Cîroc cocktail in hand. Back at the hotel after cleaning up, Toke got ready to hit Lio which is a club, a restaurant and also a cabaret. Lio has hosted a variety of celebrities and sports stars including Lionel Messi. If day two started out crisp, day three started with a bang. 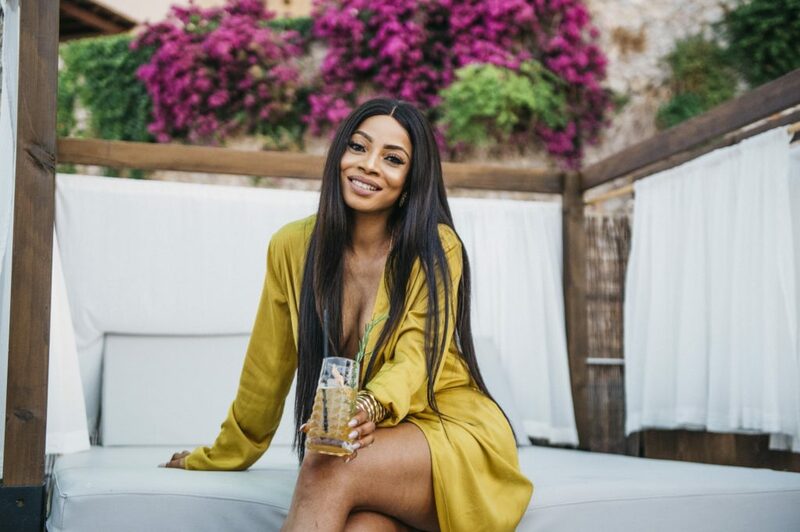 Wearing a one piece swimsuit, Toke Makinwa boarded the luxury Cîroc yacht to the island of Formentera. More partying and drinking lay ahead as they made a quick stop at KM5’s 20thanniversary before hitting up Pacha. Pacha is the most sensational club in Ibiza where David Guetta thrills celebrity party animals. 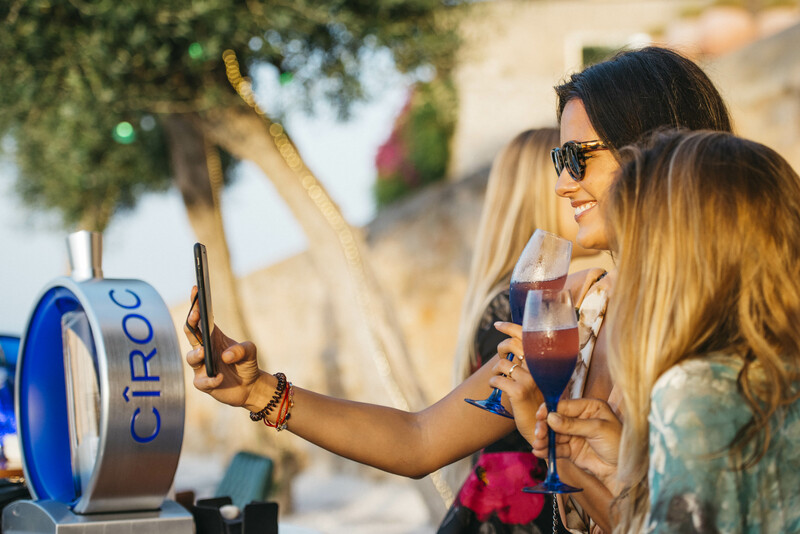 We could think of no better way to announce your arrival to the big time than a luxury trip to Ibiza while sipping some Cîroc.